One of the most prestigious events in Macmillan's annual calendar, Dame Diana Rigg will read at this year's Guards Chapel Christmas Carol Concert . There will also be performances from classical pianist Janina Fialkowska, baritone Benjamin Appl, and accordionist Martynas Levickis, supported by London Contemporary Orchestra, in the grade II listed Guards Chapel, the spiritual home of the Household Division at Wellington Barracks . Hosted by Macmillan vice president and BBC presenter Martyn Lewis CBE, the soiree will include readings from a variety of Macmillan's celebrity supporters. It's a lovely way to kick off the Christmas season and the audience can join in with the Royal Military Chapel Choir singing festive carols. 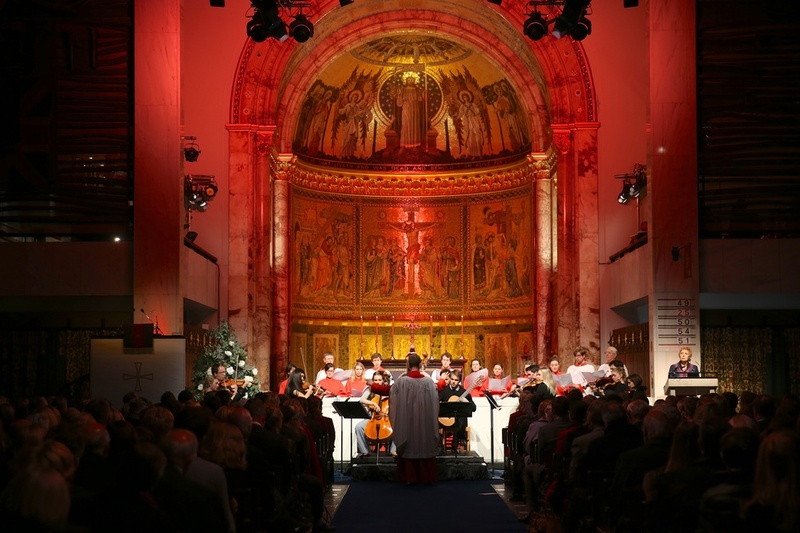 What are the best dining options near Guards Chapel Christmas Carol Concert London? Guards Chapel Christmas Carol Concert gyms, sporting activities, health & beauty and fitness. The best pubs near London Guards Chapel Christmas Carol Concert. Guards Chapel Christmas Carol Concert clubs, bars, cabaret nights, casinos and interesting nightlife. Where to have your meeting, conference, exhibition, private dining or training course near Guards Chapel Christmas Carol Concert. From cheap budget places to stay to luxury 5 star hotels see our special offers for The Guards Chapel hotels, including Conrad London St. James from 86% off.